The world tells part of its story through architecture. If you walk the streets of Turkey, Greece, or any ancient civilization you will find remnants of cultures and eras that came before us. Societies of the past leave us their art, their literature, but also their structures. It is through these structures that we infer meaning and learn to understand cultural trends, beliefs and ideas of the time, and technological advancements of a particular era. Wrought iron today carries a sense of elegance and prestige and it certainly brings something to any building that very few other building designs can accomplish. We thought we might take a look at some architectural history and how wrought iron has played a role in it. Let’s start at the beginning. What exactly is wrought iron? And what is the difference between wrought iron and cast iron? Cast iron is an alloy of iron and carbon. Because it has a higher proportion of carbon than steel, it can be quite brittle and is not very malleable. Wrought iron is comprised of carbon and slag. Due to its low carbon makeup, wrought iron can be shaped into decorative designs with various tools. 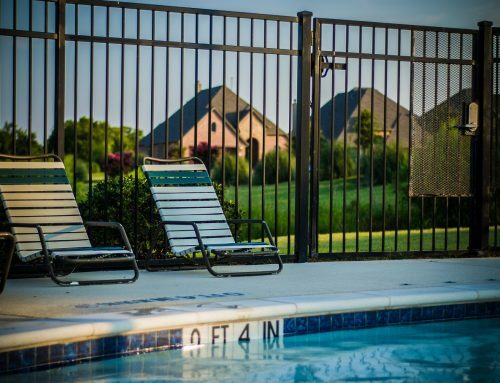 Many of the earliest railings that surrounded properties were made in the 15th century and were wrought iron. It continued to be used readily into the 19th century and has now made a resurgence due to its versatility and finesse. Cast iron emerged in the mid-1800s when new industrial processes emerged. This type of railing became widespread because of the ease to which it could be molded, but it was rarely used decoratively. Its makeup doesn’t lend itself to easy manipulation for decorative purposes. Ironworks in the gothic period varied greatly but had intricate and unique designs. A lot of them had dark themes of gargoyles and other creatures. One of the most famous and early examples is the door to Notre Dame cathedral in Paris, which has a characteristic door knocker that showcases the advancing smithing techniques of the time. The Victorian era was a time of change in England. It is often characterized by intricacy and delicacy of design, proper etiquette, purity, and an expanding empire of influence. There was a lot of cultural change happening as well, however, as scientific advances, intellectual progress, spearheaded some deeper cultural change. 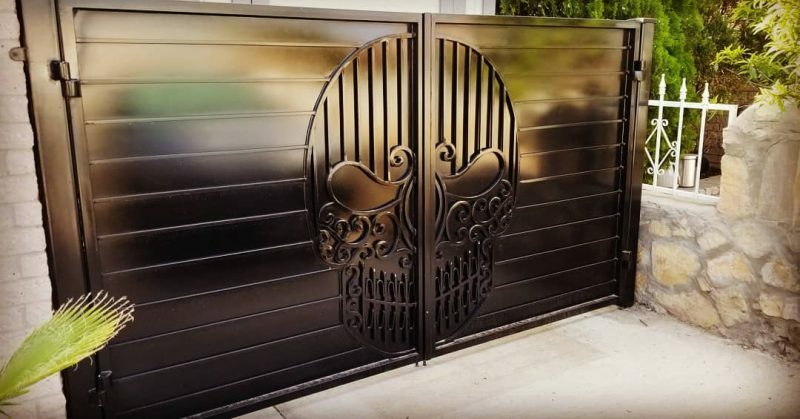 The style of wrought iron gates began to dominate during this time, as people embraced the artistic expressions and patterns and derived some inspiration from Gothic styles. There was nothing simple about these lavish railings that were a stark contrast to the simplicity of the Georgian age. Many homes and public buildings, were built with attention to detail and a focus on elegance and unique design. Impressive homes were in during this era and this meant that homes, buildings, walking paths were often decoratively tiled and gated. Terraced houses used this as a feature to demarcate their property line and separate it from public paths or highways. From the Eiffel Tower (one of the largest wrought iron structures in the world) to the countless surviving Victorian wrought iron railings, the graceful look and longevity of wrought iron continues. In present day, wrought iron continues to be the preferred way to make creative and elegant railings, doorways, and other structures. It offers incredible versatility in various designs and can be used in a classic way or in more experimental fashion. If you are thinking of adding a layer of sophistication to your railings or gates, Atrium Wrought Iron can help ensure that you get the highest quality iron and the most beautiful patterns and designs.